Concept | Restaurant "La Paix"
La Paix is based on the concepts of «Japan» «Harmonie» «Coeur» «Lien» and «Cinq Sens». French cuisine prepared and served with the spirit and pride of Japan.Our passion and pride as Japanese nationals can be felt in our choice of fresh domestic produce, and depiction of the Japanese culture in our cuisine. At La Paix, you can enjoy the kind of French cuisine available only in Japan. Harmony of ingredients carefully orchestrated, while also offering little surprises to your taste buds – That’s our vision. Our most important ingredient is the heart. Seemingly as natural as breathing, and yet we remind ourselves every day that the heart should be at the center of our restaurant. We pour our heart and soul into our cuisine, hoping that it will leave lasting memories in our guests’ hearts. As an added note, we’re not afraid of allowing the playful part of our hearts express itself in our cuisine. 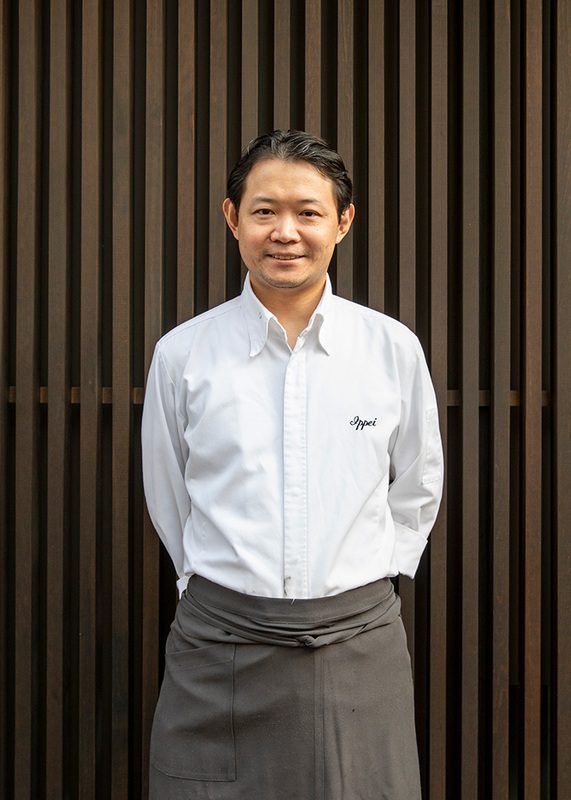 The connections we make with farmers across Japan producing fresh ingredients for us, the restaurant staff and our dear guests are what makes this restaurant a happy, fulfilling and valuable place for everyone involved. We are committed to surprise and delight our guests’ five senses, by creatively combining Japan’s beautiful four seasons, flavors of each season’s freshest ingredients, natural color palettes, scents, textures, temperature variations and our excellent service. Matsumoto was born in 1974 in Wakayama prefecture. With family business being an “oden” (a Japanese hot-pot dish) eatery, cooking interested Matsumoto from an early age. After completing a vocational training course at a culinary college, he worked at a restaurant in Nara, before moving to the French restaurant “Vincent” in Roppongi, Tokyo. There, he first worked as a front of the house staff, before progressing to the kitchen to work in a wide range of positions from a patissier to a saucier. In 2000, Matsumoto moved to Namur, Belgium, to join Michelin-starred “L’Essentiel”. Returning to Japan in 2002, he worked at “Au Goût du Jour” in Tokyo (now closed), then at “Au Goût du Jour Merveille” in Nihonbashi area of Tokyo, where he worked as the Head Chef for ten years. Matsumoto opened “La Paix” in 2014, and has earned prestigious one star in the Michelin Guide in 2018. Tanaka was born in 1974 in Kanagawa prefecture. Training from a culinary college under his belt, Tanaka worked as a restaurant front of the house staff in Nara, where he acquired the basic knowledge of service and wine. 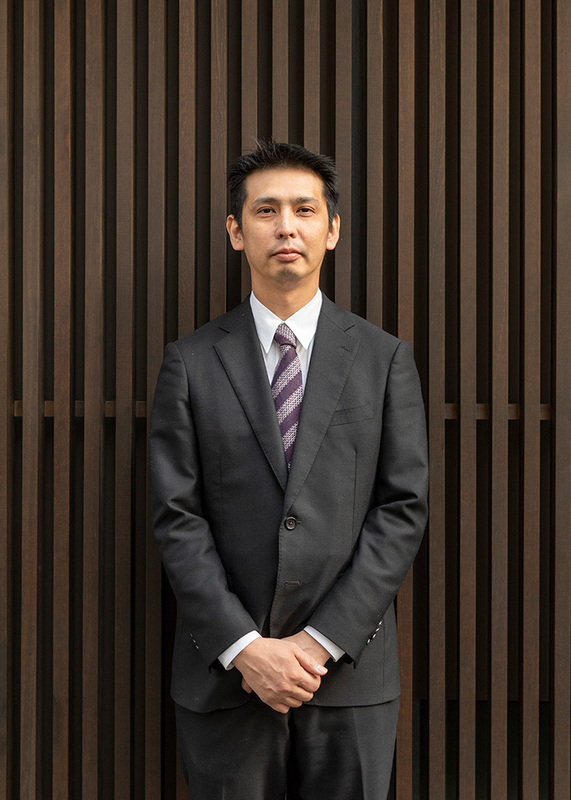 He then worked as a sommelier at Yokohama Bay Sheraton and Towers Hotel, before joining “Au Goût du Jour Merveille” in Nihonbashi as the General Manager. He has been involved with the opening of new restaurants, gaining valuable experience along the way. Tanaka has been the General Manager of “La Paix” since its launch in 2014.